On July 1, 2015, Lithuania’s former head of state Prof. Vytautas Landsbergis was invited to the United Kingdom to address the House of Commons. His address entitled “The EU – Russia relationship with special reference to the security of the Baltic States” was a presentation analyzing recent developments in Eastern Europe, particularly the developing serious Russian threat to peace and sovereignty of Europe.the region, and also the European Union’s and NATO’s response to it. President Landsbergis was the first head of state of Lithuania after the restoration of independence in 1990 from the Soviet Union. He served as the Head of the Lithuanian Parliament, the ’Seimas.’ A professor of music who has been active in Lithuania’s struggle for freedom arena for more than two decades, He served as a Member of the European Parliament for Lithuania from 2004 to 2014. Our correspondent in London Darius Furmonavičius had the opportunity to meet with Prof. Landsbergis and engaged him in a brief but substantive discourse. Darius Furmonavičius: What can and ought Lithuanian Americans do in the face of the current international situation? I am particularly speaking of the recent threat of Russian aggressive acts and provocations towards Lithuania and the other Baltic countries. 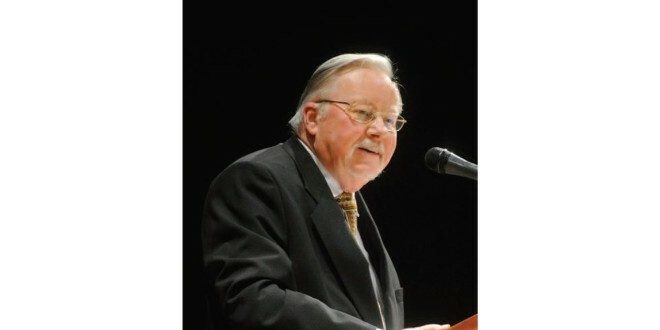 Vytautas Landsbergis: For starters—action is needed. Lithuanian Americans ought organize a letter-writing campaign to President Obama, as they once did to President Bush. It would be rather simple message: “Mr. President, Stop the war!” Because there is a war proceeding as we speak and those who are fueling and directing this aggression must be stopped. It is vital that the war not develop further, because the longer it festers and expands, it will become ever more difficult, perhaps even impossible, to contain. Failure to act decisively will result in the surrender and undoing of Western democracy. The West will have opted for capitulation. So one may ask: What is the Kremlin seeking? What is its long term game plan? This should be obvious: to show that the West is powerless, that the West merely engages in idle blatter, but does nothing and surrenders its positions. Ukraine is being brutalized because it chose the Western way. It gets a beating while others are warned: “What is happening to Ukraine is what awaits you!” That is what awaits Moldova, Georgia, and those who opted for democracy. The attempt to divide is patently clear. The foundation and source of our strength and support is, without a doubt, the United States. It is a country that the Kremlin still fears. That is primarily why the Kremlin detests the United States just as it despises NATO. It fears NATO, and that is why it hates it. It dreams of ways to tear it asunder, to divide its ranks. The fundamental question for the West and for the Euro-Atlantic Alliance is how to respond to direct and now frequently not so direct Russian aggression. How to stand up to those who are carrying on a war against the West. Certainly a propaganda war is in full swing. That war against the West is being carried out successfully in the Middle East, in Northern Africa. A large number of organizations, both old and new, are operating with direct or indirect support from the Kremlin. Terrorist organizations like Hezbollah, Hamas, Al-Qaeda, are well-known, but now new organizations are appearing, and they are essentially poised to attack Western civilization. Last evening I spoke at the European-Atlantic Group here in London about the “bokoharamization” of Russia. The group Boko Haram espouses an ideology that the West is the enemy and it must be destroyed. The Kremlin fundamentally declares the same thing. The Kremlin is not yet chopping off heads publicly, but it shoots its foes one at a time. From an ideological point of view, there is no essential difference. The methodology differs, but the hatred of the West and the goal that the West must be destroyed are the same. The Kremlin hopes to break the resistance of the West, to break up and tear apart the West one country at a time. And they do it with bribery, blackmail and the threat of war. When Western leaders in Europe begin to carp “We must not provoke a war,” they are fooling themselves. There is a war going on. Should we avoid doing anything to stop it? We have to stop it. On the other hand, the strategic goals of the Kremlin are first of all to dominate in Europe, to isolate the United States. But at the same time a parallel program is proceeding in Russia itself. Today people there who used to be normal have become fanatics. They relish dictatorship, not unlike the German people who were enthralled by Hitler’s dictatorship. Millions shouted “Heil, Hitler! We will conquer everyone!” The psychological situation is strikingly similar. The masses are being prepared to support aggression and war. This has to stop! The request, “Mr. President, Stop the war!” is very simple. Perhaps it would not so much help the American administration to achieve peace, as it would help the general public to understand what is happening. There may be some who would chant: “Don’t enter the war! Let them fight it out themselves! Let them kill those Ukrainians. Who are those Ukrainians to us?” But that is the path to ruin. As we learned from bitter experience: you never appease a tyrant, you will only stimulate his appetite. It is vital for Americans of Lithuanian descent who are concerned with the welfare of their ancient homeland, to understand that it is not only the future of Lithuania that is at stake. The future of Europe and even of Western civilization is in real jeopardy. Some time ago I addressed a gathering of American politicians and journalists. A few of them questioned whether Lithuania should be admitted to NATO because they doubted that NATO would be able to defend it. With that kind of short-sighted thinking Lithuania is sacrificed from the very beginning. “We won’t be able to defend it, so let the enemy take it now.” I told them: you are sitting quietly, sunning yourself in Miami Beach, and everything looks so distant. Yes, but if you give up Lithuania, the front will move closer to Miami Beach. Do you want the front to approach Miami Beach? The defense of Europe is the defense of America. And the defense of Europe begins with Lithuania. Lithuania is the front. All manner of political provocations are being concocted by Moscow to question the legitimacy of Lithuania’s independence. And if it is not “legitimate,” then the Soviet occupation was legitimate and so we should go back to the prior “legitimate” status. And what about our young people, who in 1990 were coerced and forced to serve in the Soviet army and who refused to serve that army and joined the defense forces of Lithuania? Today they could be labeled deserters and prosecuted for desertion from the Red Army according to the laws of the Soviet occupation government. This of course is insane, but that is what Soviet reality is like. Scurrilous rumours are being disseminated such that Lithuania, together with NATO and the Americans, is planning to invade the Karaliaučius (Kaliningrad) region. And if a publication reports that such plans exist, then some aggressive military leader in the Kremlin could decide that those Lithuanians need to be dealt summarily, before they attack Karaliaučius. Based on such a pretext the “enemy” would be occupied, Lithuania would again be no more, a puppet government would be installed, and NATO would be compromised. This reality must be understood. It must not just be observed. It is strange that after each aggressive step, taken by Mr. Putin, Western leaders proclaim their supposed concern. “We are concerned” – they say. Certainly, some things are being done. Economic sanctions, which bring hardship to Russia, are imposed. But the Russian people are told that America is to blame for these hardships, that we will eventually prevail, but now it is important to not give up, we Russians must bear the hardships imposed by Americans. Because , you see, America started the war when it forced those poor Ukrainians to choose between Europe and Russia. Those are Putin’s own words: “forced to choose.” And that is why the Ukrainians were supposedly put in a such a bad position that they began to rebel, to resist and to fight among themselves, supposedly among themselves. Russia is not involved in the least. It just sends tanks and powerful anti-aircraft systems, which shot down the Malaysian airplane just for sport, to see if they are effective. It is important for the Western public to look at things with sober eyes. That would be the best for all concerned. In your opinion, Professor, what are the best and most effective ways to stop Russian aggression politically and economically? Along with the methods already being used, the economic sanctions, it is important to utilize diplomatic methods, such as isolating current Russian leaders because of their politics of aggression. Russia has actually removed itself from the family of nations which engage in normal relations. Indeed, it has removed itself even from the United Nations, whose charters, agreements and statutes it has violated, namely those which enjoin countries from attacking each other. It has attacked, has carried on a war, has ripped off territories from neighboring countries and appropriated them. There are certain methods which are now being implemented, but more effective methods need to be instituted. Russia needs to function in the international financial, banking sphere, where the SWIFT system is prevalent. It should pay the price and be cut off from SWIFT. If Russia breaks all the rules, as it is breaking the rules of the World Trade Organization, into which it was recently admitted but whose requirements it does not fulfill, then it should be expelled. Of course, it would be hard to formally expel Russia from the United Nations, because Russia has the right to veto and would veto its own expulsion, even though it would be destroying the whole orientation of the United Nations in doing so. But Russia should be left on the outside of those organizations with which it does not want to cooperate. Cutting off Russia from the SWIFT system would be a very painful blow to all the Russians who work in, travel to or vacation in Western countries, and perhaps it would make them seriously consider whether the political policies of the Kremlin bosses need to be packed away. EXPO, a universal exhibition that takes place every five years, is being hosted by Milan, Italy, this year. It runs from May to the end of October. Over 140 countries built pavilions and are ready to welcome 20 million visitors from around the world – about 150,000 guests each day. This year’s theme “Feeding the Planet, Energy for Life,” explores the importance of nutrition for mankind and the central role that technology plays in guaranteeing healthy, safe and sufficient food for everyone, while respecting the planet and its equilibrium. The Lithuanian pavilion at EXPO 2015 was built by JAS architects. Entitled “Balance,” it consists of two buildings joined by ramps. The buildings symbolize the parity between tradition and innovation, the past and the future. Visitors to the Lithuanian pavilion can learn about Lithuania’s history, traditions and achievements while sampling Lithuanian rye bread, farmer’s cheese with honey, tree cake and mead and enjoying live performances by Lithuanian musicians. President Dalia Grybauskaitė visited the Lithuanian Pavillion this July and also took part in the opening of an exhibit in the Sforza Castle in Milan. The exhibit: “Historical ties between Milan and Lithuania: Bona Sforza and the Palace of the Grand Dukes of Lithuania.” This Milanese princess became Grand Duchess of Lithuania and Queen of Poland, when she married Žygimantas the Elder. 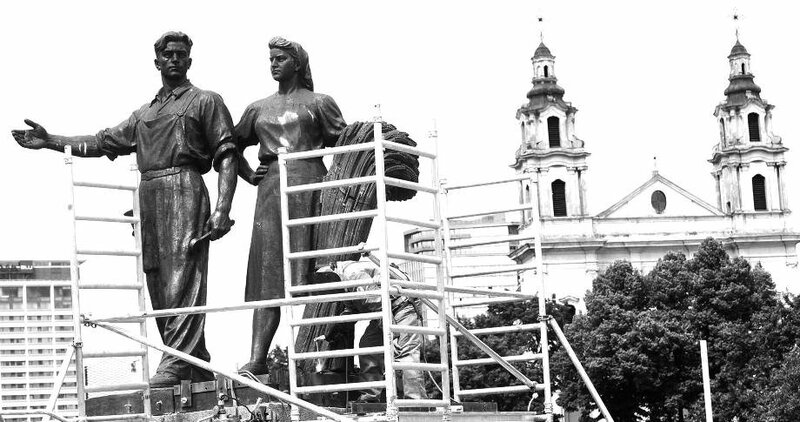 It was through her efforts that Renaissance culture and art were introduced to Lithuania. It is said that she introduced the fork to Lithuania. Previous to her arrival, Lithuanians made due with a knife, a spoon and their fingers. The first EXPO took place in London in 1851. Lithuania participated for the first time in the Paris EXPO of 1900. It was an unofficial exhibit organized through efforts of Lithuanian emigres 18 years before Lithuania’s declaration of independence. The pavilion contained examples of Lithuanian publications banned by czarist Russia, and also displayed Lithuanian national costumes. 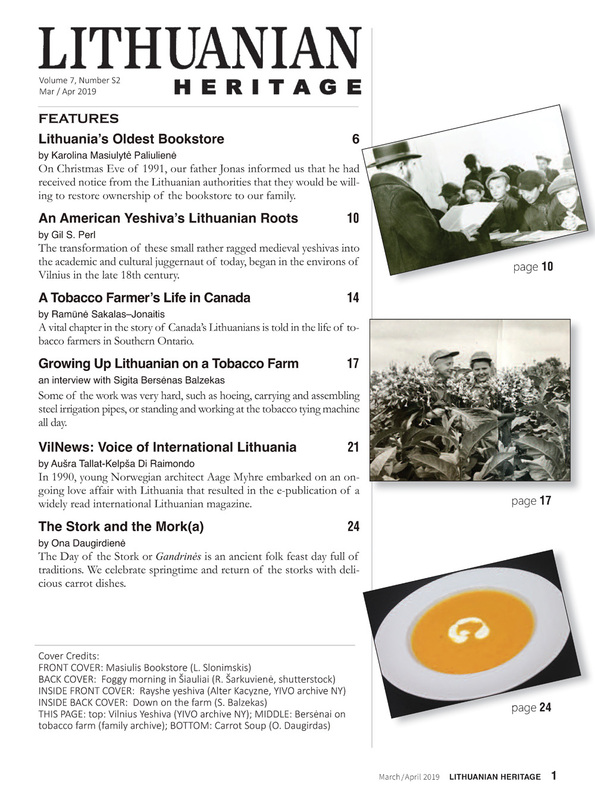 What message would you like to send to our Lithuanian American readers? 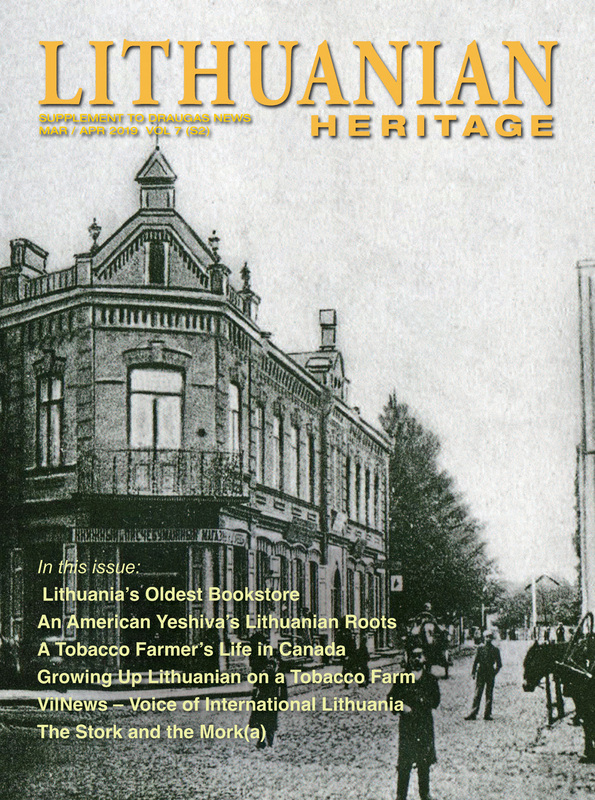 Earlier generations of Lithaunian Americans were greatly involved in the Lithuanian cause. This concern was part of their very existence. Many came to America after the war, others came earlier. They raised their children and preserved the language and culture. They sent them to youth camps and to Saturday schools not just to keep the Lithuanian heritage alive, but also to prepare them to help Lithuania some day. They made their contribution. They helped Lithuania defend itself in the public sphere and diplomatically as well. As American citizens they persuaded their government to eventually do the right thing. They demanded and offered assistance, they organized care packages, they came to work in Lithuania. Their efforts were an expression of Lithuanian vitality, the vitality of Lithuanians in America. But the work is not over. Lithuania continues to experience threats. It suffers from an ongoing inner occupation, the result of spiritual and cultural oppression. Some of its people do not want to live creatively and industriously. Some are given to alcoholism, decadence. Lithuania has not fully recovered from the tragedy of its recent occupation. Yes, she still needs your help. I hope that you will continue to be concerned with Lithuania, and not just because Lithuania needs your concern. I think your lives will be richer when you dedicate yourself to a noble cause. You have another family across the ocean. I hope that you will be concerned with its well being as well and that it will become a part of your ownselves.